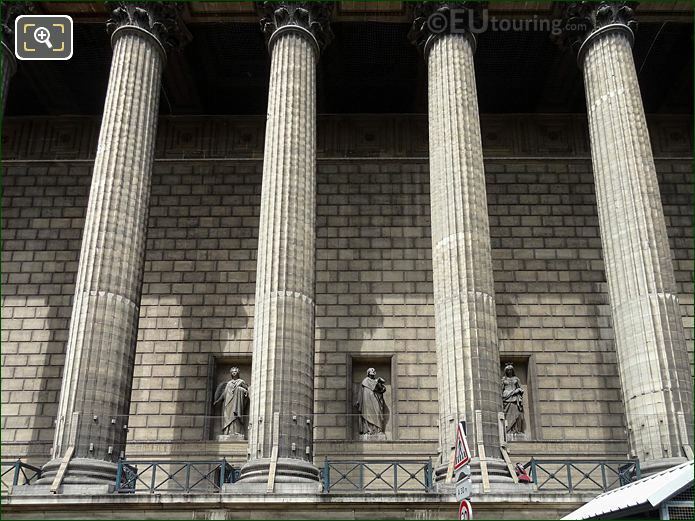 We were at the Eglise de la Madeleine, which is located in the 8th Arrondissement of Paris, and we took these high definition photos showing a statue called Saint Irenee, that was sculpted by Julien Jean Gourdel. 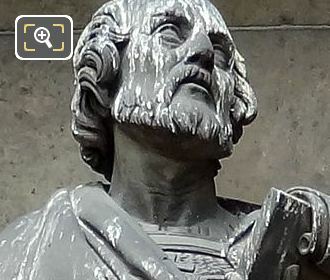 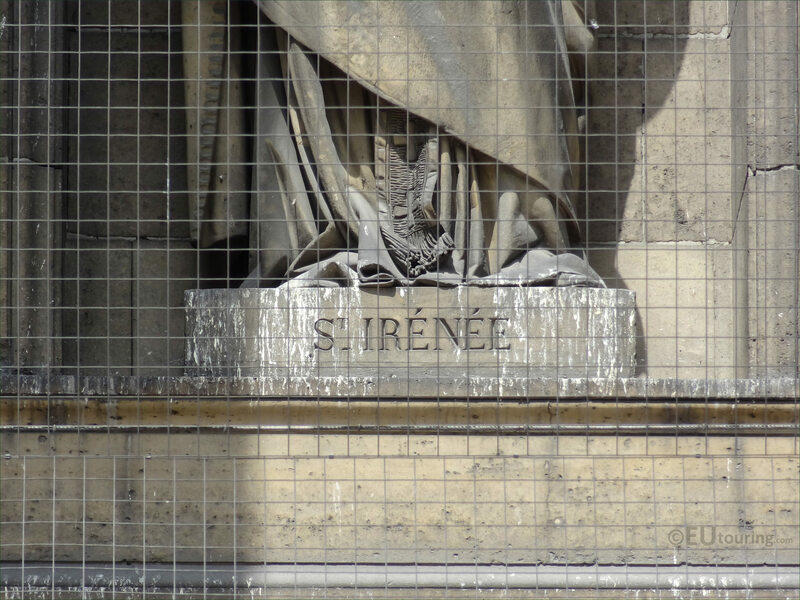 This first HD photo shows a statue called Saint Irenee, which in English translates to Saint Irenaeus, and this is one of thirty-four statues depicting saints that were commissioned by the French state in order to adorn the facades of the Madeleine Church. Here you can see a close up of the statue that was produced in stone by Julien Jean Gourdel who was born in 1804 and studied at the Ecole des Beax Arts under James Pradier to become a French sculptor, and first presenting works at the 1835 Salon he started to receive public commissions. 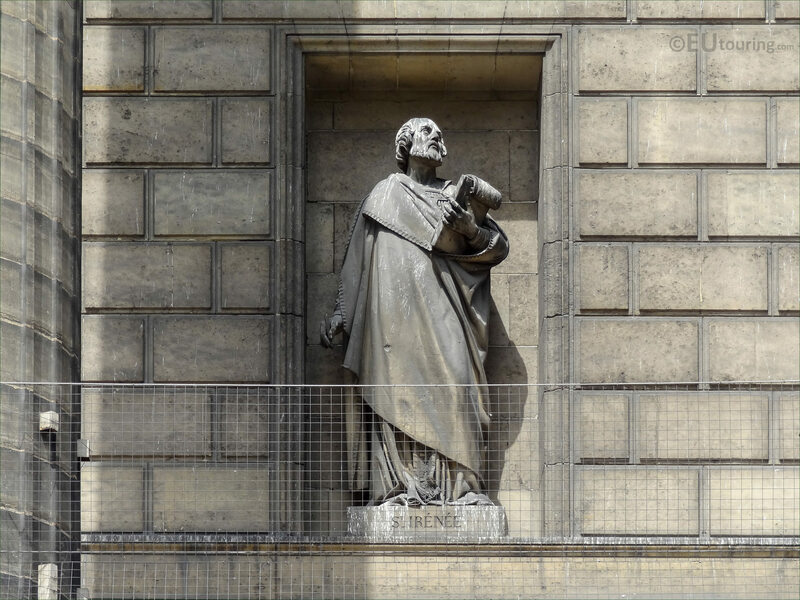 Julien Jean Gourdel produced many different busts, some of which can now be found at the Chateau de Versailles, along with statues for tourist attractions including this one for the Eglise de la Madeleine, however his career was short as he died in 1846, but many of his works can now be found at the Museum of Fine Arts in Rennes, which is the town where he passed away. 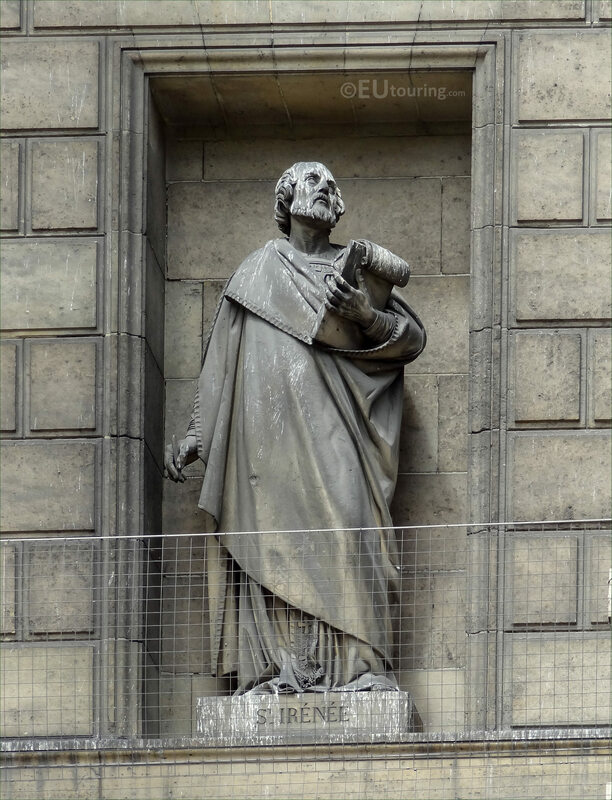 Here you can see the pedestal base of the statue with the French spelling of Saint Irenaeus inscribed on it, and he is classed as one of the father of the Church for his writings that laid down the foundations of Christian theology, plus he also became a Bishop of Lyon, and in the Roman Catholic faith his feast day is 28th June. 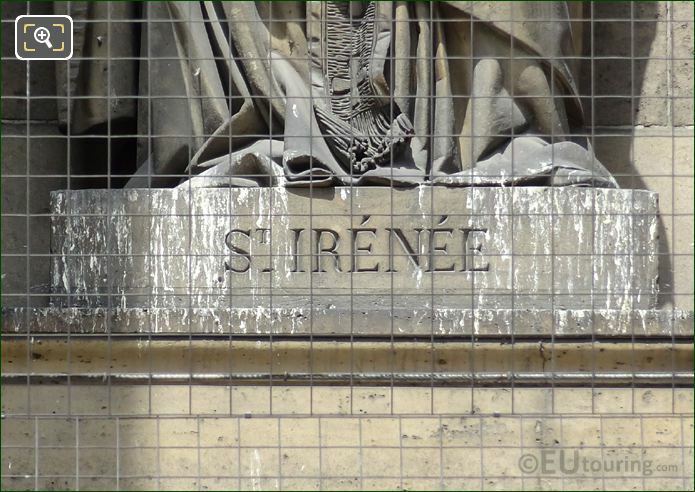 However, in this image you can seen that the statue of Saint Irenee is positioned within a niche on the portico facade of the Madeleine Church, which can be seen from the Place de la Madeleine on the eastern facade when looking through the Corinthian columns.